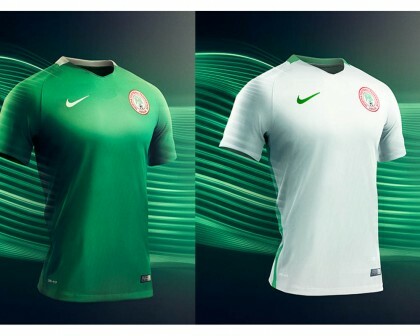 (NFF, Abuja) The Nigerian football team will take to the pitch this week in their new Nike Football home and away kits featuring Dri-FIT technology. The home kit is a solid green, with white ribbing around the back of the modern crew-neck collar. In keeping true to the national colours of Nigeria, the new away kit is white with a green stripe that runs the length of the sides of shirt and shorts, and a green stripe along the back of the collar. The laser-cut ventilation holes and mesh panels in the key areas of the kit are designed to improve performance by increasing air circulation and helping regulate players’ temperatures. The shirt is crafted using mesh fabric that makes up the full front and back panels of the shirt, increasing airflow and facilitating enhanced movement.